The spiritual component of wellness is highly individual, as each of us can choose to know God (or whatever you call the Divine) and create our spiritual practice through the lens of our own religious, spiritual, and cultural beliefs. 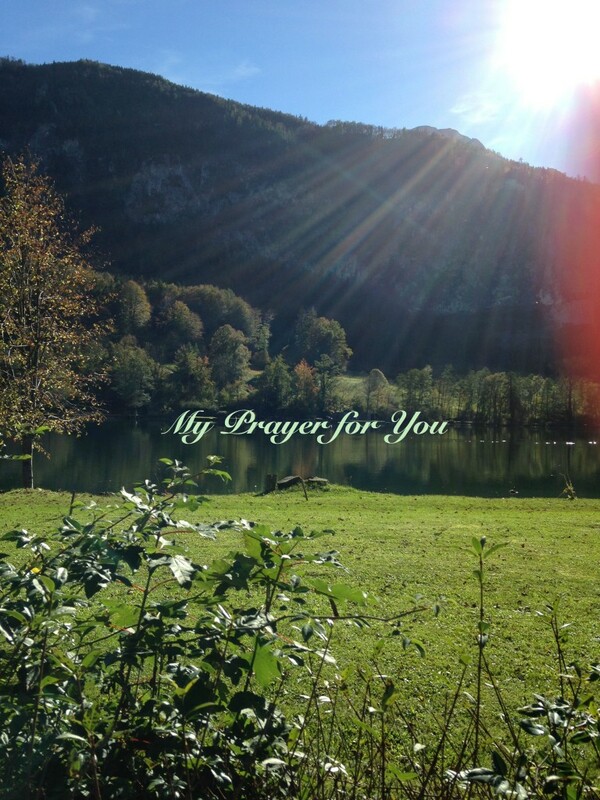 May this prayer bring you peace and gentleness today. May you see the infinite possibilities that exist with each sunrise. May you make wise choices that nourish your mind, body, and spirit. May you allow your soul the freedom to express who you really are. May you allow yourself to love greatly and be greatly loved. May you know that good self-care ultimately supports all those around you. May you discover peace-filled solutions in the opportunities of conflict. May you allow yourself time to grieve. May you use your gifts and talents to create a better world. May you listen to others with ears of compassion. May you forgive yourself and others for any behaviors or beliefs that have caused pain. May you feel God’s presence in every cell of your body. May you be filled with gratitude for your daily blessings. 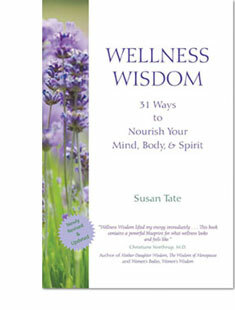 chapter of my Wellness Wisdom book. 1. Create quiet time each day. You can start by taking just one minute before you get out of bed. Then gradually add to this precious ritual or practice as you begin your day. Some people like to light a candle, read from a holy text, play spiritual music, or just quietly breathe. Pick something that works for you. Treasure and protect that time. Quiet time for some may come, if only briefly, after you fall into bed after a long day. Breathe. Open your heart. Listen. God’s there. 2. Explore places where you feel closest to God and hang out there when you can. Examples include but are not limited to: churches, synagogues, mosques, chapels, temples, beaches, forests, mountains, with your family, or in your garden. 3. Take time to talk with God. And then, take time to listen to God. You’ll love the results. Praying doesn’t change God—it changes us. 4. Remember that what you focus on expands. So, focusing on God can provide a greater awareness of the Divine in your daily life. This doesn’t mean you need to become a monk or priestess! It just means that the more you look for good and God, the more you’ll discover both. 5. What, if any, rituals or prayers from your childhood hold special meaning for you? Add or create a new practice if you like. Enjoy reading the next chapter (“Pray and Meditate”) for more ideas. This entry was posted in 2015, Divine, Forgiveness, Love, Meditations, mind/body/spirit, peace, prayer, spiritual practice, wellness and tagged Forgiveness, Love, prayer, self-care, spiritual practice, wellness wisdom on August 26, 2015 by Susan Tate.